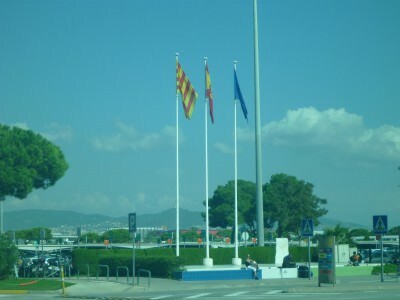 As well as being a proud Catalan city, Barcelona (officially part of Spain) also sits near the border of two other countries, Andorra and France and both are only a 3 hour trip from Barcelona. 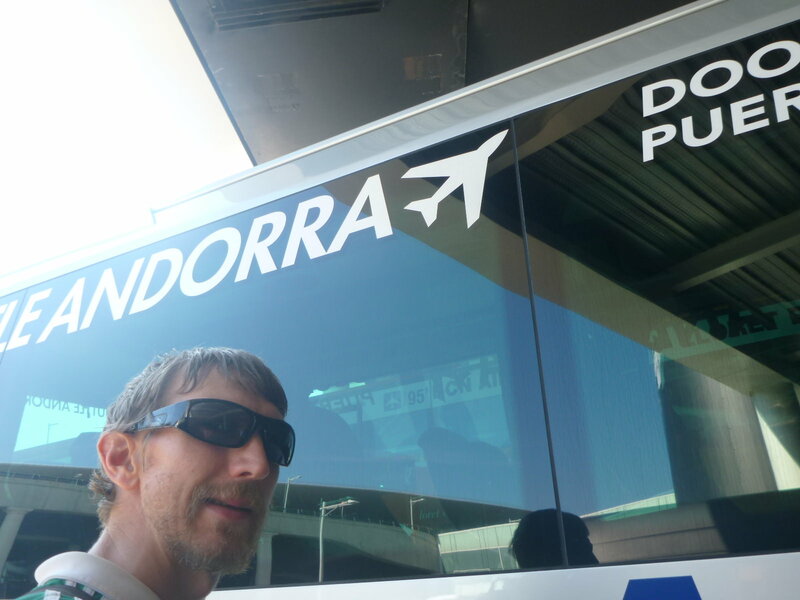 As I had been to France and Spain before a few times, I decided to head to Andorra while I was so close to it. 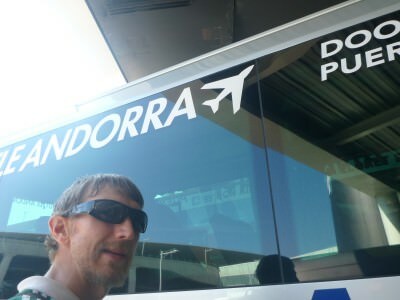 It made sense for me to go direct from Barcelona Airport to Andorra, as there is a connecting bus option there and in less than three hours you can be admiring mountains and relaxing in a country lots of fellow bloggers didn’t know or believe existed! There are two options for booking your bus from Barcelona Airport to Andorra. The first option is to book it in advance (online or over the phone) and the second option is simply to get on the bus when you arrive in Barcelona Airport and hope they have seats (they normally do, but don’t count on it). I had no idea of the popularity or ease of getting a seat on the bus on arrival, so I made sure I booked it in advance. This meant when I got off my flight at Barcelona airport (a flight from JFK, New York), I’d know I had a bus booked. Sorted. To book my bus I used Novatel, their website is andorrabybus.com . You simply go on the website, select your departure location, time and date and pay the amount. Mine was 36 Euros at 12 noon from Barcelona Airport to Descaldes. You can pay on Visa and Mastercard and they email you your ticket. 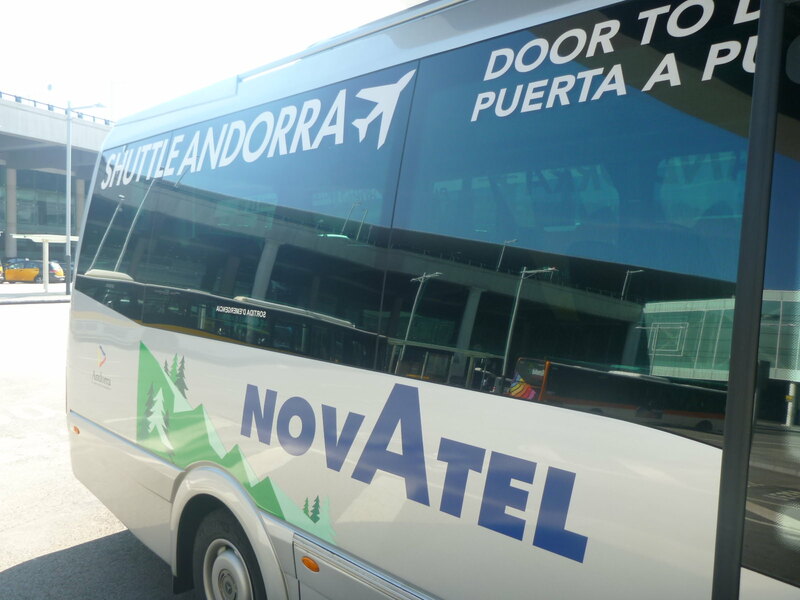 One great option with this bus is that it takes you direct to your hotel or hostel of choice in Andorra. You select this on the drop down menu on the website. 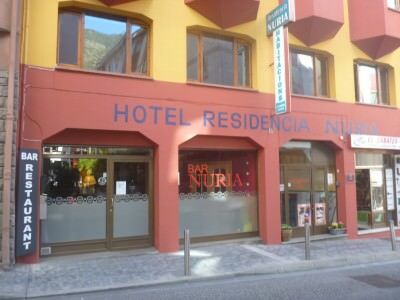 I was booked to stay at Residencia Nuria which is in Escaldes Engordany, a small village across the river from the capital city, Andorra La Vella. Andorra La Vella is the capital city of Andorra. 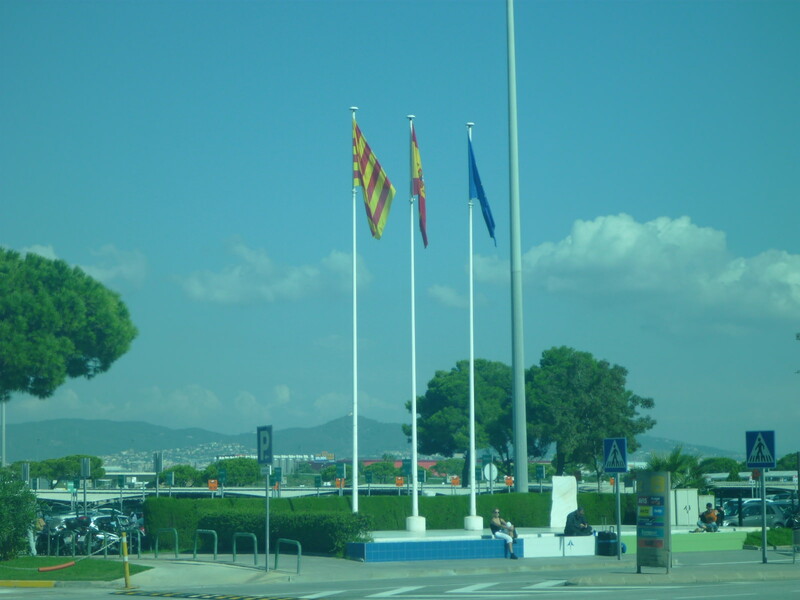 Novatel provide a service direct from Barcelona Airport to any hotel in the capital and around included in the price. Amazing! Best budget hotel in Escaldes Engordany, Andorra – Hotel Residencia Nuria. When you arrive at Barcelona International Airport (the main airport) you get the bus to Andorra from outside Terminal 1. When you see the Tourist Information inside the airport, face towards it and take the right hand exit down the elevator or moving walkway to the ground floor and outside area. 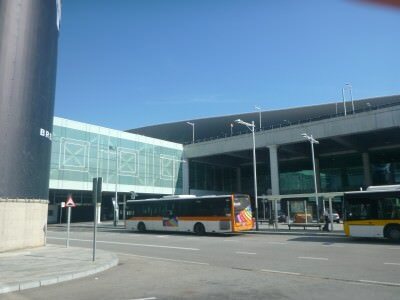 Bus station for Andorra at Barcelona Airport. You’ll see local buses on the left and bigger coaches/long distance buses on the right. 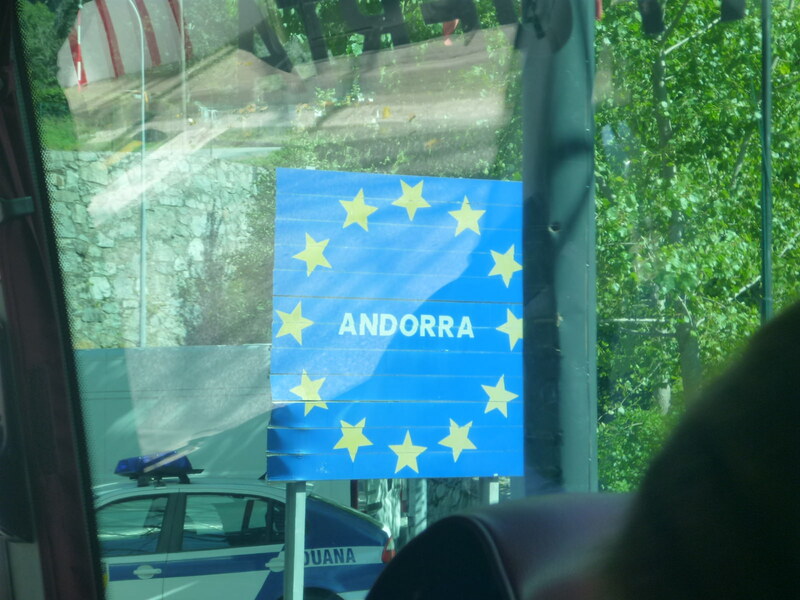 Even though Andorra is only 3 hours away, all the buses are in the long distance bus area. Board your bus at Barcelona Airport, be there before it arrives. I boarded at 11.50 and the bus left at 12 noon pronto. If you have booked in advance show your booking or reference number. The driver has all the info though, so just your name might be enough. But I carried all the documents just to make sure. 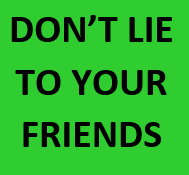 If you’re paying on the day and they have a spare seat, just pay in cash and tell the driver where you want to get off. 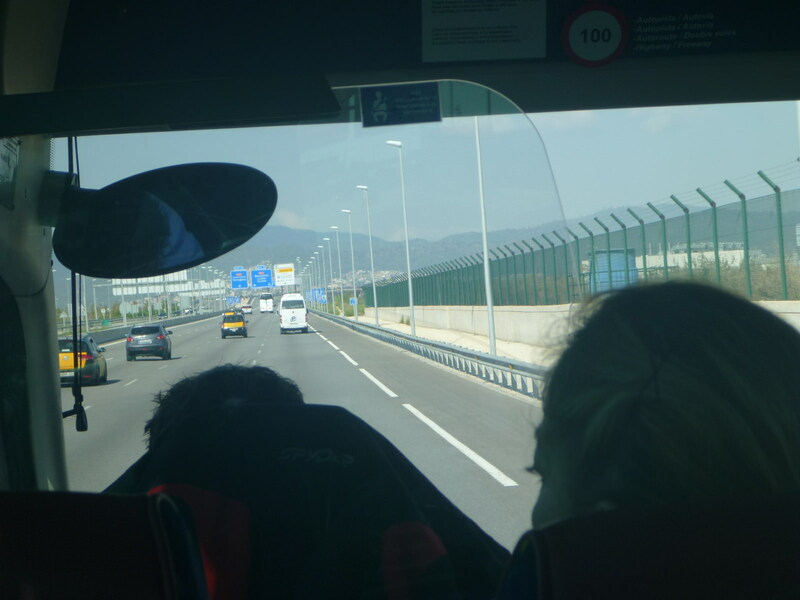 After leaving Barcelona Airport Terminal 1, we have a stop at Terminal 2 then we are off. 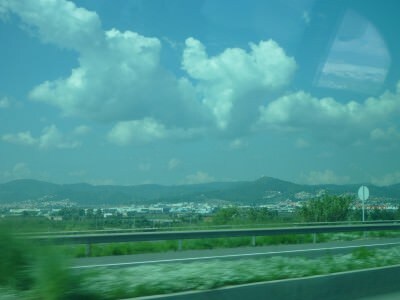 The bus has free wi-fi (intermittent) as a bonus. But I admit, I was knackered and I plugged my iPod in and fell asleep. 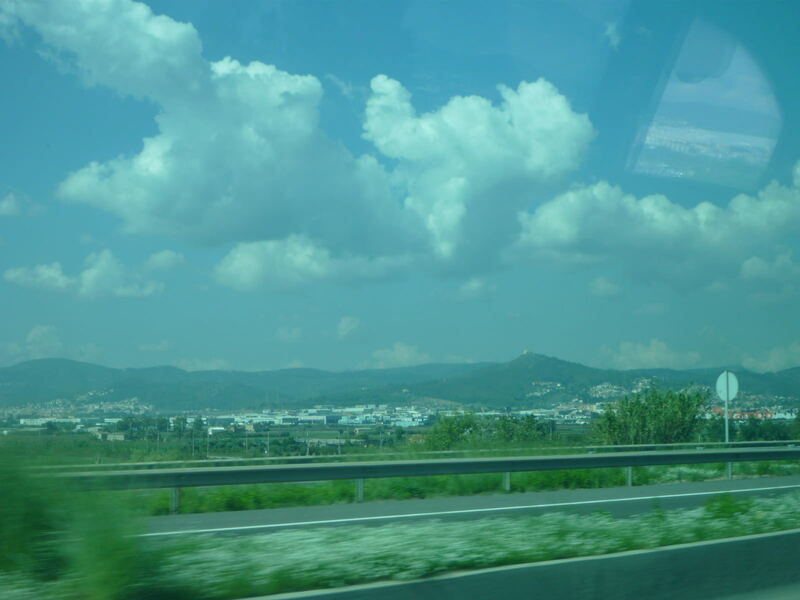 Each time I woke, I admired the views and I was fully awake on leaving Catalonia/Spain and crossing the border. There is a border control. At the border, there is no need to exit the bus or show your passport. Andorra and Spain have an agreement together (as do France) and there is no visa or passport stamp legally needed to go between the two. If you’re legally allowed in Spain, you are legally allowed in Andorra and of course Catalonia. Andorra is not a member of the EU but it doesn’t need to be. The border between Catalonia (Spain) and Andorra is a checkpoint and that’s it. It’s not busy and most vehicles just pass through answering a few questions. If you really want your passport stamped on arrival in Andorra, you can ask the driver to stop, get out, get your stamp and move on. I travel too much to worry about stamps anymore. I don’t need extra ones in my passport. 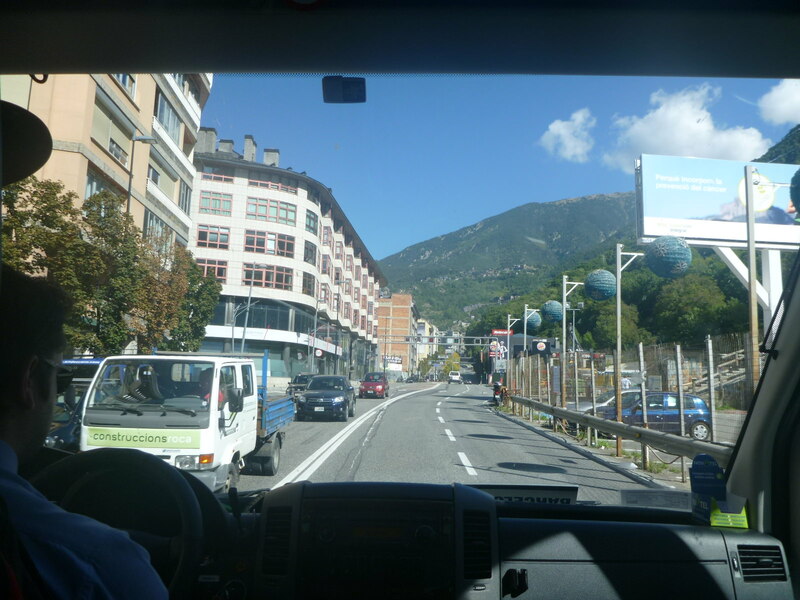 Once you arrive in Andorra, the bus will take you all the way to the capital city, which is Andorra la Vella. 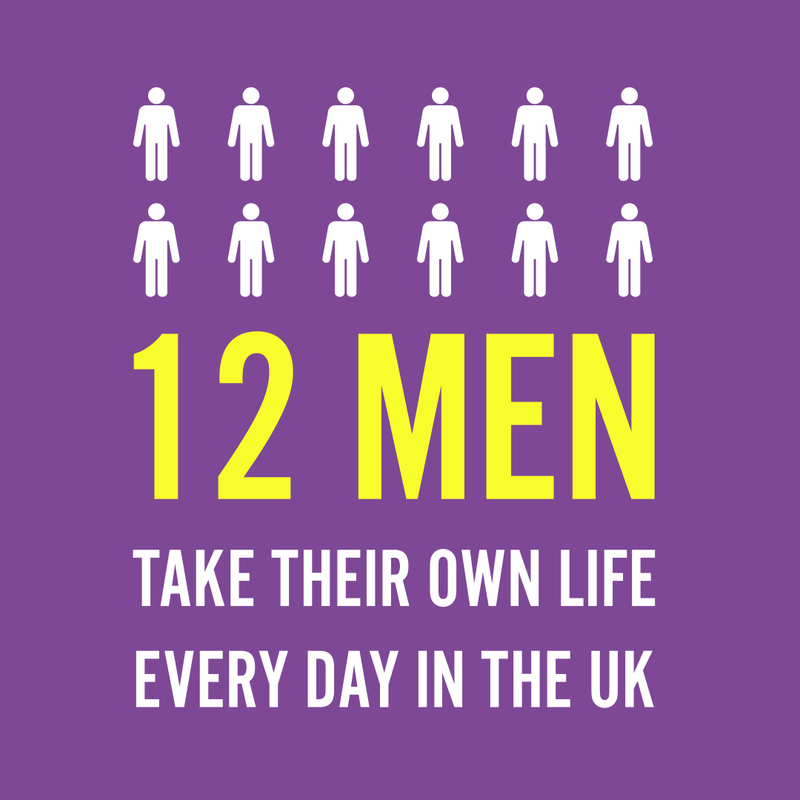 It will stop at the main bus station there and if you want you can get out there. 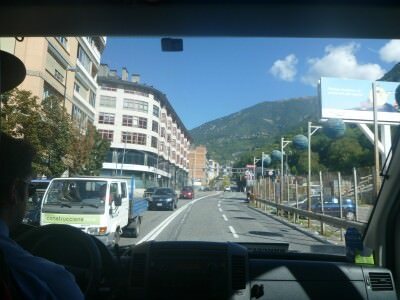 However, Andorra being a rich country and the bus company being clever and customer focused, they will drop you as close to your hotel as they can. 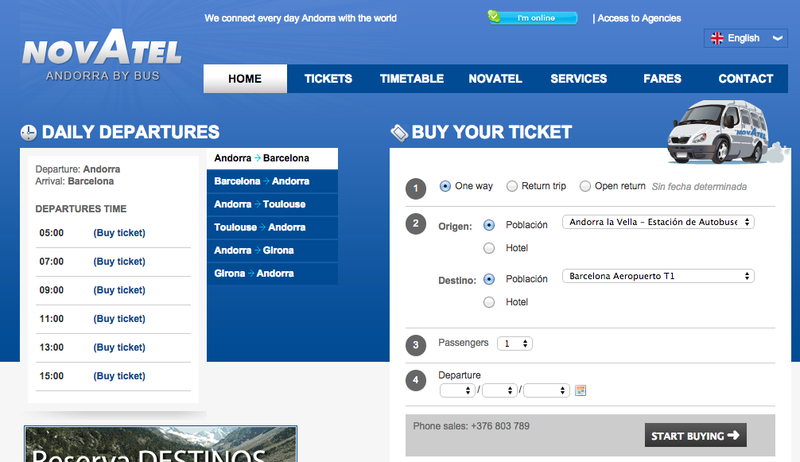 Basically when you buy the ticket online, you can select your hotel to be left off at. 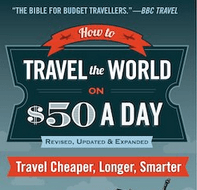 This is a really tough question to answer and really depends on your budget and travel preferences. For example, ski-iers will most definitely want to stay in a ski resort and head out from the capital. Historians will prefer the museums which are scattered across various towns, geography freaks will want to do the UNESCO World Heritage Site. 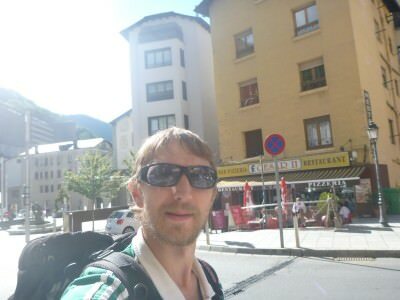 I decided to stay in the capital city, Andorra La Vella but also Escaldes Engordany. Both these towns are easily accessible to the rest of the country. 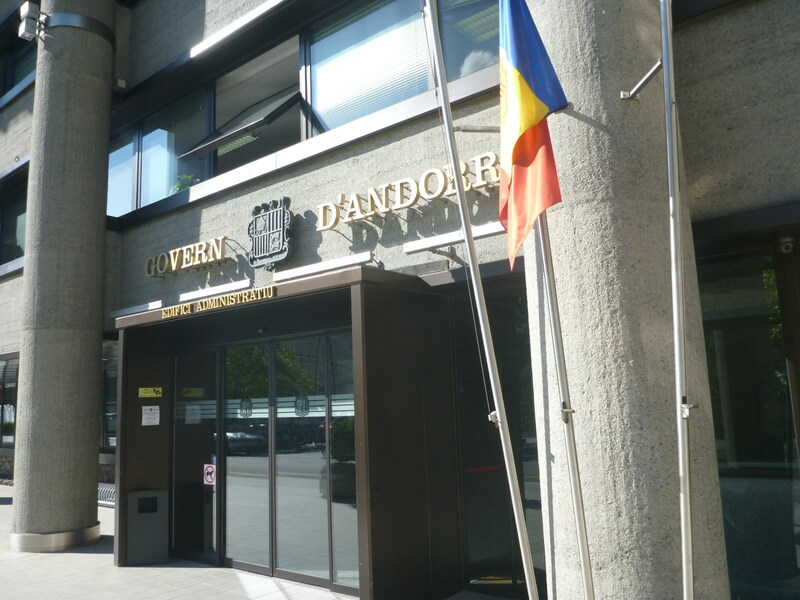 I’ll be writing more on Andorra real soon. This entry was posted in Andorra, Andorra La Vella, Barcelona, Barcelona, Catalonia, Escaldes Engordany, Europe, Spain, World Borders. Bookmark the permalink. Pingback: Staying at the Best Budget Hotel in Andorra: Residencia Nuria in Escaldes Engordany. Thanks for the post it’s really useful! Could you please say if anyone actually asked the bus driver to stop at the checkpoint to get an entry stamp? If so, how long did that take? Btw, there is also a booth with Spanish police where you can get an exist stamp from Spain. They are very close to each other. 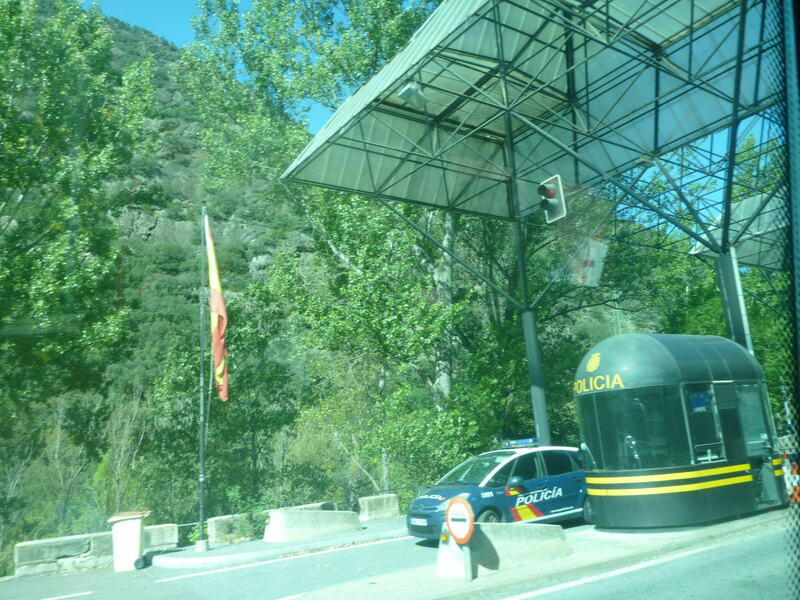 FYI, when passing Andorra-French border you might be surprised – it’s empty and all booths seem to be locked years ago… :). There is a building for border administration where you can try as well and may be they have stamps there too(I did not check it).